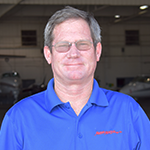 JUST JETS SERVICES, INC. is a privately owned corporation founded in 1991 by Owner and President Bill Damm. 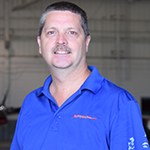 Since this time, Bill has established a distinctive career and reputation for excellent service as a pilot, technician, and manager. JUST JETS SERVICES, INC. is proud to provide our clients with outstanding service and an impeccable safety record. Please call us for your maintenance and inspection needs. 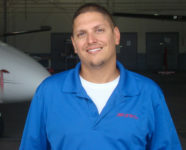 JUST JETS SERVICES, INC. specializes in providing personalized, first class, on-site maintenance for your private or corporate owned jet. Our company’s mission is always to provide the highest levels of safety and security for your aircraft operations. Our very experienced staff take pride in the goals and professionalism of our company and makes every effort to offer approved maintenance procedures that will facilitate the safe and enjoyable flight operations of our clients. JUST JETS SERVICES, INC. subscribes to and proudly maintains participation in a DOT Approved Drug and Alcohol Program as further evidence of our commitment to this highly critical safety sensitive enterprise. You can download a copy of our paperwork here. JUST JETS is proud to introduce you to our excellent support staff – Joanna is our Parts Manager and Office Manager. She will also respond to your AOG needs as our After Hours Contact. Lauren is our Bookkeeper and Office Administrator.